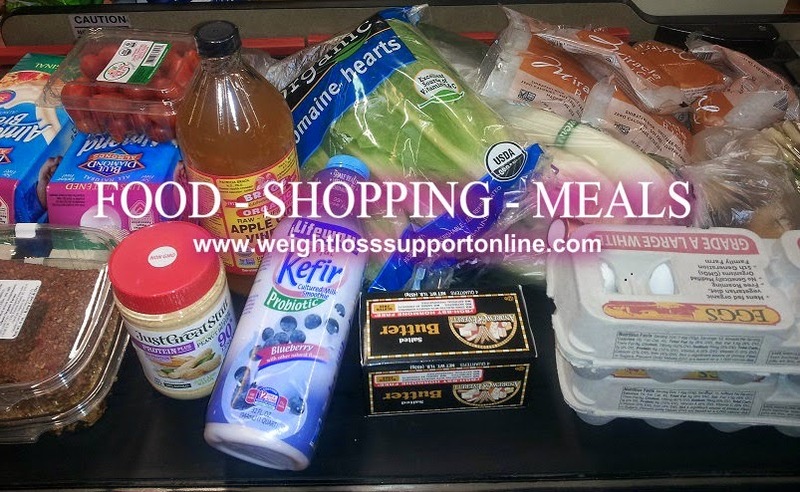 So, I am sharing this shopping list and meal ideas by request for this person, and hoping that some of you will become inspired to make some healthy food changes in your diet, too! What Foods Do I Eat For Weight Loss / Weight Maintenance? - The raw food section of the natural food store where they have little cocoa, coconut, protein balls and such. I'm pretty good at not buying them anymore, but I have weak moments for those. (I don't drink bottled juice, but I keep these in case my husband and kids want to break up the water and tea with a glass of juice). - Pancakes, Syrup, Fruit Snacks ... Some things the kids "demand". How Do I Eat Daily? In general, unless I eat an occasional Flat Out Wrap, I do not eat bread. I do not eat rice or noodles - just the Miracle Rice and occasional type noodles if the rice is not available. Sugar is pretty much eliminated from my diet except for an occasional 4 grams in the peanut powder or if I have berries in my smoothie; there are alcohol sugars in the Atkins bars (which are occassional for me as well). I drink one cup of coffee in the morning with Stevia and Half & Half. I drink water all day; parsley and green tea a few times a week. Do You Overeat A Lot? Yes, sometimes, I overeat protein and really have to watch the "oil" fats or I can have more than I should, but I try to keep a good handle on these. YES, fats are good for you, but overdoing the "good fats" can have consequences. I only use butter every so often for flavor (for years it was my fat of choice, so that was quite a change in eating for me). Skinny Fiber is a product that we all can take with any type of diet. When you watch the videos or read that you can eat whatever you want with Skinny Fiber, this is the truth, though it best applies to any type of diet plan and not necessaribad foods". In other words, you can do the Atkins Diet, Weight Watchers, Jenny Craig, Paleo Diet, South Beach, USDA recommended or low fat ... Any type of diet plan, though it does not include any recommendation of living on fast food, treats and other non healthy foods. I hope this blog post has been helpful to you. Please feel free to Comment, click the Contact Page or join me at Facebook to discuss anything.